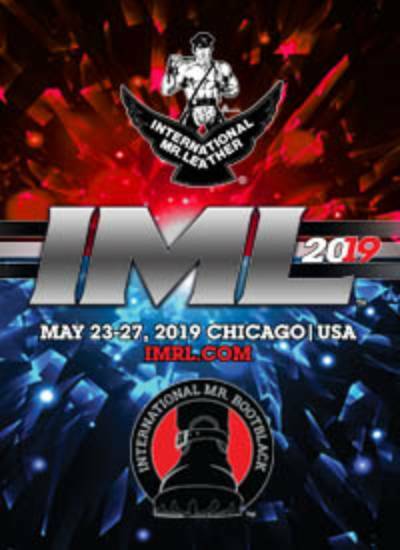 International Mr. Leather® and International Mr. Bootblack welcome you to IML 2019. This year continues to develop our future as we build on the foundations and traditions of our past. The contests to select our winners of IML and IMBB continue to be the centerpiece of our weekend. Built around those are the expansive market filled with vendors from around the globe and of course you can't forget the unforgettable Victory Party and must attend Black and Blue Ball. We've added a new event this year called Leather Bear Stampede, a dance party right at the hotel and we are continuing Flashback, the new event we debuted last year. There's also the lobby social time and a multitude of other events to fill the entire weekend. It'll be hard to decide what to do. All this set in Chicago's downtown and lakefront which offers its own opportunities for dining, exploration and events.